Copy kindly supplied by Random House UK in return for an honest review. The new romantic Christmas story from New York Times bestselling author Debbie Macomber. Ashley finds herself unable to get a flight to Seattle to spend Christmas with her mother, not realising that she’s actually on the FBI’s no fly list. Dash Sutherland needs to get to Seattle for a job interview and cannot afford to hope for a standby ticket. When they meet at the car rental desk it’s decided they will rent a car and drive to Seattle together (well Ashley has to agree to this, the rental firm don’t hire cars to anyone under 25). Along the way Ashley and Dash bicker, chat and generally get along like two strangers in a car. Dash is the dark, brooding character, he was in military intelligence. Ashley is the ying to his yang, she’s chatty, cheery and wants to know about Dash. While Ashley and Dash are going along their merry way to Seattle there’s an FBI investigation tracking Ashley Davison down. She’s a home grown terror suspect that has evaded the FBI for years and they’re not about to let her escape again, not when they find out she may have taken a ex military man hostage. This is where the story becomes completely nuts, apparently the FBI believe that Ashley is a criminal mastermind, she knew where the cameras were in the airport and knew to avoid being seen by them, knew how to lay trails to outsmart detectives etc. Whilst the pace of the book is ok, the ending seemed very rushed and the FBI element to the plot was completely pointless to me. From the good things I’d heard about this author I expected so much more, but I’ve finished this book (thankfully!) and I can honestly say I won’t be looking out for anything else by Macomber. 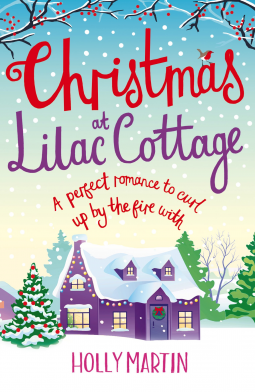 I really didn’t enjoy this at all, it felt very confused, it wanted to be a Christmas story, it wanted to be romantic and heart warming but in the end it was a muddled read with characters I didn’t really care for and a story I found I wasn’t overly bothered about. The book blurb made this sound a whole lot better than it turned out to be, and I’m still in the dark about who Kevin is, he’s mentioned in the blurb but for the life of me I can’t think who he was. I really wouldn’t recommend this book to anyone, unless they wanted a quick read, something easy to flick through or if I didn’t really like them. So rare that I write anything of a personal nature in here any more, I seem to have devoted all my thinking and writing time to books recently, never a bad thing in my opinion. Can’t beat a good book, unless it’s a GREAT book! There are so many that can fall into either category for me recently, really go check out some of the reviews if you don’t believe me. Recently, I achieved something huge, maybe not huge for some people, but for me surviving my first year of motherhood was immense. It was challenge I couldn’t prepare enough for. I’m the sort of person that decides that I will start something so I get my hands on all the information possible about that topic and learn everything. Lets for instance say, paragliding, I will scour the net for information, be it books, articles written in blogs, magazines, forums, personal stories and mishaps, will hunt out expert opinions, and then from there, what equipment is best to use, what are the pitfalls, what are the dangers and the things to watch out for, what locations are best, how best to practice and learn the skills needed, what to expect….the list goes on and on but you get the idea right? All the pregnancy books and magazines etc gave me an idea of what to expect growing a bump and how labour would be either the best moment of my life or the worst etc but nothing really prepared me for life with a human monkey child. I absolutely adore my child, she’s funny, beautiful, clever, an incredibly fast learner and great company, but sometimes I look at her and wonder what she’s making of everything. Does she know that most of the time I make it up as I go along? I remember my mum telling me often “there is no big book of life, you just have to make it up as you go along and hope you’re doing it right” and my word she was right!! Just because the wee angel round the corner can balance on her hands and speak 12 languages before the age of 1 (slight exaggeration there, using artistic license) doesn’t mean that every child will do that. But none of that makes up for the moments of self doubt, or the panic that you might not be doing things right. When you see “super parents” in the media you instantly worry and compare yourself to them. It’s the same when it comes to most things, you see the celebs etc in the media and instantly think badly about yourself. I try to remind myself that the reason you don’t see them with dried weetabix on their t shirt or baby drool all over the shoulder of their shirt is that they have people paid to make them look good in public. Whereas I have to make the monkey child look presentable, ensure she’s got a clean nappy on, not managed to cover her face with food of some sort and if I have the energy, make sure I’ve brushed my hair. Who am I kidding? My hair is usually scraped back in a ponytail to keep it out of reach from sticky fingers that like to pull it. Motherhood isn’t the easiest job in the world, and quite honestly it’s far from the hardest. There are times that it feels like the hardest job on the planet, but it’s a worthwhile job, you get to nurture this little person, see them grow and develop, see their character emerge and watch with joy as they achieve their own milestones. The early days of motherhood were some of the hardest I’ve lived through so far, knowing what to do was a major problem. Suddenly I was home with this little person and I didn’t have a clue what I was doing, exhaustion was sapping any reserves of energy I might have had and hormones were just jangling like little alarm bells warning that tears were inevitable. But thankfully I had a good support network, my husband was invaluable, just being there to change a nappy when I didn’t have the strength to get up, or taking the wee one to rock her to sleep (or wander about the house in the dark pleading with the wee monster to go to sleep) so I could get a few hours here and there. But we got through those tough early days, we made it past the scary stages of the monkey trying to pull herself up on anything and any one, past the confusion of weaning, and now we get to look forward to the joys of potty training, talking (more than just a few simple words at a time), making more of a mess and generally just being a monkey. But, I really can’t wait, it’s a fun adventure, and best of all, I get to spend it with this amazing person. Danny Bird is having a very bad day. In the space of a few hours he just lost his job, his boyfriend and his home. Ever the optimist, Danny throws himself headlong into his dream to turn the grimmest pub in London into the most fabulous nightspot south of the river. Sadly, everything doesn’t go quite as planned when his star turn is found strangled hours before opening night. From the very start of this book you get a feeling that things aren’t going to go to plan for Danny Bird, the protagonist is a troubled soul. He’s lost his job at a fashion magazine (and was escorted off the premises by burly security guards), walked in on his boyfriend and the window cleaner in flagrante and subsequently walked back out again, losing him home. So it’s little wonder that he has a light bulb moment sitting in a dingy pub, nursing his pint that he could turn things around and transform the grittiest, grimmest, most run down pub into “the place to be”. Even better, he’s got a star performance for the opening night, a star that will draw in the punters. In the life he’s lived up to this point, Danny hasn’t mixed with gangsters, or run a pub, so this is a wealth of new experience for Danny, but thankfully he’s not alone. He has Caroline, affectionately known as Caz to “help” him out. With her Mary Poppins-esque bag, she pulls out almost everything for the situation that Danny finds himself in, miniatures of booze to settle the nerves, lipstick and a compact mirror to make sure she’s in tip top style to show off her looks and assets to get Danny the answers he needs, or just cash to put in the till to keep things ticking over in the bar. It’s through Caz that Danny secures his star turn for the opening night. The night that will change everything for Danny, especially when he becomes a suspect for the murder of the star, who Danny just happens to find strangled to death in her dressing room just moments before she was due on stage. I’m really conscious of not saying much past the first few chapters of this book, purely because I don’t want to spoil any of the intrigue or mystery that this novel has. There are twists, turns and some absolutely fantastic dialogue that I’m desperate to share but you need to read this book to find out more! The characters in this book are brilliantly written, Danny is a great character, you genuinely feel for him at times and you’re rooting for things to go well for him, there are points that you find yourself reading and wondering how it could go so wrong for him. Another character of interest is Caz, for obvious reasons, she’s funny, sassy, she has a bottomless pit of a handbag and can keep Danny from spiralling into the depths of despair. The relationship between these characters is very well written, the way they nag, nit pick and clash with each other is believable, the characters compliment each other very well which I think makes this so enjoyable to read. Physical descriptions are incredibly good in this book, the grim horrors of the pub, the opulence of Lyra Day’s costumes, the violence of the brawl, all give you a very real image of what you’re reading, granted each interpretation will differ somewhat, but I think we can all agree that Danny’s pub is the sort of place you’d want to wipe your feet after leaving. Farrell shows a great skill in his writing, this book was incredibly hard to put down, but upon picking it back up after the weekend I was immediately able to work out where about in the story I was and continue reading. At no point did the narrative drag, or did I feel I wanted to skip ahead because I was bored or fed up. This is definitely a page turner, and I have to agree with a review I’ve read on Amazon, it is somewhat like a modern game of Cluedo, a cleverly written “whodunnit” book, that definitely keeps you guessing and trying to work out who the murderer is and why – and I’m not ashamed to say, I was wrong when I guessed who the murderer was! I would have no hesitation to recommend this to anyone that enjoys Fiction, Crime, Mystery and Thriller genres. In fact, I would insist you check this book out and take a gamble if it’s not already piqued your interest! Penny Meadows is an instantly likeable character, she lives in a beautifully described cottage with views of the town of White Cliff Bay, and shares her home with her loving, if not slightly crazy dog. By trade she is an ice carver, an incredibly interesting career which adds to the uniqueness of this character, but most significant about Penny is that she’s alone, lonely and would welcome love. When Henry and his daughter Daisy move to town and rent the annex of Penny’s cottage she is delighted, she hopes for the idyllic friendship she so longs for and hopes that they will hit it off. Things don’t always go to plan, moving day is stressful at the best of times, and Henry is in no mood for niceties. As the story progresses, we Penny’s story comes out, the loss, heartache, the passion she has for her ice carving and how much she cares about her little town. Henry’s story is equally poignant, how he came to be on his own bringing up Daisy and why he’s to fiercely protective of her. Penny and Henry have a connection that they cannot ignore, try as they might, they cannot resist each other but can Penny forget her past and move on, allowing herself to be loved and love someone in return? A cleverly written novel, with narration from both Henry and Penny, gives an insight into what both of the main characters are thinking. It is especially good when it comes to the gruff, grumpy Henry, who can appear quite standoffish when Penny is narrating. But once he takes over the reins, you begin to understand that his cool exterior is just a façade and he’d trying to hide his feelings. The pace of the novel is good, short chapters allow you to quickly move through the story, the dialogue is interesting, funny and entertaining. The characters in this novel are fantastic, the small town attitude is so well described, everyone knows everyone’s business, but not out of being nosey, but out of caring. The descriptions of characters are well thought out and give the reader a feel of just how intensely Penny and Henry look at each other, how strange Penny’s dog looks, how smouldering Henry’s eyes are (amongst other things!!). I particularly liked Martin’s writing style when it came to several points in the novel where I laughed out loud, or sat smirking away at the situation that characters were in (Penny buying a toothbrush comes to mind, or explaining what had come on TV late at night to Daisy!). 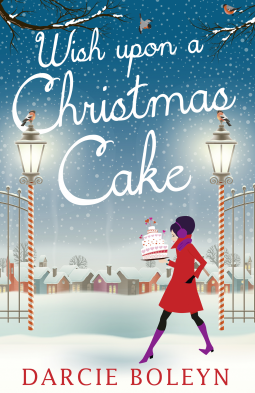 Katie and her best friend Ann run Crumbtious Cakes, a small tearoom that has been their shared dream for so many years, it was a way for Katie to move forward after her life fell apart nine years ago following a traumatic loss. Now, she has to deal with another loss, her beloved Granny has passed away and now she and the Warham family face their first Christmas without the matriarch. If this wasn’t enough, Katie knows she will have to face her mother Esther. She and Esther do not see eye to eye on many things, and Katie fears that her judgemental, over critical mother will make this Christmas hell for her. But Ann, being her best friends makes a valiant attempt to cheer her friend up, bringing her a slice of their famous Christmas cake (in lieu of a wishbone) to make a wish. Katie makes it to the Lodge the family are staying at for the Festive period and is startled, shocked and stunned at who she meets when she arrives. Can it really be him after all these years? Yes, it’s Sam, her first love, standing there in this wonderfully romantic setting, looking so grown up and handsome. Katie has to keep her emotions in check, cover her surprise and shock before facing her mother. Later Katie finds out that Sam is a widower, raising his two children (and dogs) after the tragic death of his wife. Can Katie resist opening up old wounds and remembering what it was like being in love with Sam, can she avoid physical contact with him to stop her heart skipping? Might that wish made in the tearoom actually come true? Second chances are a major part of this novel, can Katie and Sam manage a second chance, will there ever be a second chance for Katie and Esther – will their relationship improve? Even Ann joins in the theme of second chances with her own dilemma. All that Katie knows is that she never really fell out of love with Sam and his reappearance in her life has reignited the flames for her, she even feels something towards his children, almost wondering what it would be like if they were hers. Family dynamics are wonderfully portrayed, the reader is thrown straight in to the wonderful Warham family, meeting Esther and Charles (Katie’s parents), Karl (her older brother) and his partner Angelo as well as Aunt Gina. The entertainment of the group being together for Christmas is enjoyable to read, Katie and Karl have a great connection that you can really feel from Boleyn’s writing. Memories of Granny are well used in this novel to portray what an important character she was for them all, how phrases she used can spark a feeling in someone that kick starts them again. There were many laugh out loud moments reading this book, comparisons between Santa and Katie were particularly funny (when you get there you will know what I mean, it’s in a conversation with Aunt Gina), so much so, I almost snorted tea! Little gems like that in the writing really set Boleyn’s work apart from other Christmas reads. Despite being classed as a romantic novel, this was funny to read to, it was deliciously entertaining to read, and the sort of book you could happily read in one sitting (unless like me you have a toddler that wakes up from a nap and you have to put the book down!). There’s definitely a feel good factor about this, you desperately want a happy outcome for everyone, you want Katie and Sam to rekindle their love, you want Katie to become stepmother to Sam’s children and for them to have another child together. You want Katie and her mother to move past the hurt between them and work out things out. You want Katie’s Christmas wish to come true! I would recommend this to anyone that enjoys Fiction, Romance and Comedy genres. The last thing Pearl expects for Christmas is murder but soon the bodies are piling up. Can Pearl possibly solve the mystery in time to make 25th December an unforgettable day – or will the murderer contrive to ensure her goose is well and truly cooked before then. Whitstable at Christmas sees everyone gearing up for the Festivities, Christmas trees dressed, lights hung, cards sent and received but for some inhabitants of this town some of these cards are more welcome than others. Someone has been sending poison pen cards to members of the town and they all turn to local restaurateur turned detective Pearl to get to the bottom of it. With so much to do with preparing for Christmas, Pearl advises the card recipients that she cannot look into it just now, but could look into it in the New Year, but if they are concerned that they should pass this on to Canterbury Police’s DCI McGuire to investigate. As Pearl and Mike McGuire rekindle their friendship with an invitation to the parish fundraiser, things all start to go wrong for this little town. A guest collapses after a blazing row with other guests at the event, was it too much mulled wine? What is something sinister? Pearl and McGuire are determined to get to the bottom of it, and despite McGuire being a witness so not being allowed to investigate, he calls in every available favour owed to him to find out just what happened that night. With his police connections and Pearl’s local knowledge they are unstoppable. 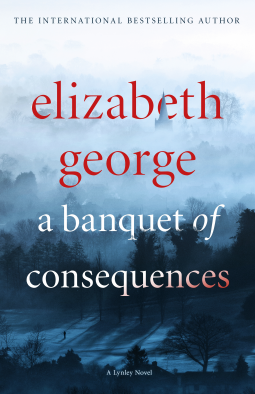 There are twists and turns a plenty in this novel, and there are so many things I would like to say about the plot but that would give away too much to the reader, and I really don’t want to spoil this novel for others. I will say that you will be trying to work out the connections in places, wondering “why did they do that?” or “how is that relevant?” but once it all links up you feel a satisfaction as it really does all tie up with a bow like a Christmas present. This was the first book I’d read by Wassmer, not realising there was a story before this, The Whitstable Pearl, but I can honestly say that I didn’t feel that I’d missed any important information by not having read these in the “correct” order. 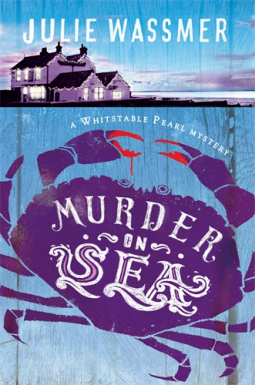 I found Wassmer’s writing enjoyable, the novel was well paced, the physical descriptions of characters and place settings were fantastic, I could almost imagine the beach at Whitstable, the Christmassy settings and the way certain characters looked and acted – especially Dolly!! The only downside for me about this book was a times Pearl annoyed me. I know that in order to keep suspense going and keep the reader on their toes is to not give away all the details, but surely it was a bit strange that Pearl would be sitting in a hotel for drinks, order, look over at the other side of the room and then “light bulb” moment and off she went without so much as an explanation to her companions in the book or a wee hint to the reader? But that’s just me nitpicking. Overall, a thoroughly enjoyable read, good suspense and build up to the main events, interesting plot twists and developments and on the most part something I could easily go back and reread in a few months time. I would recommend this to anyone that enjoys Fiction, Mystery, Thrillers and Crime Fiction genres. Elsie was what I thought to be a “normal” cow, with “normal” cow things on her mind, eat grass, produce milk and generally just mooo about….but this has turned my thinking on it’s head! Who knew that a cow could think and feel so much? After sneaking out one night in a daring move, Elsie makes her way to the farmhouse where she sees the humans worshipping the Box God (TV for those who’ve not read the book) and is fascinated by what she sees, that is until the startling discovery about a ‘meat farm’ – this is too much for Elsie to take in. She can’t quite believe the images she has seen, she can’t “un-see” them and she can’t stop thinking about what it means for her and her friends in their idyllic life on the farm. Being a wise cow Elsie plans her escape, aided/ hindered by Jerry the pig (who converts to Judaism and now goes by the name Shalom) and Tom the turkey (who has amazing abilities with his beak!) the trio break out of the farm one night and are off into the unknown, looking for freedom, safety and acceptance. Whilst this is a humorous book, it does touch on some serious ideas, religious intolerance and animal welfare, but these are done without offence. 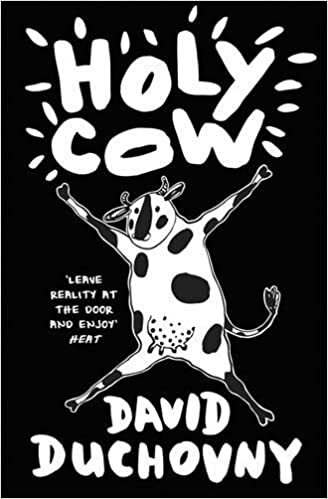 The conversational narration by Elsie is both witty and funny, the cow humour is fantastic, the references to pop culture are clever, and there are opportunities aplenty for laughs. An absolute departure from reality, but a welcomed change of pace and thinking! We all know Duchovny from his days on TV, whether it’s as Fox Mulder in the X Files, or Hank Moody in Californiacation, he’s starred in many films and has released an album in the music industry, but he’s now known as a writer. After Holy Cow, I think it’s safe to add writer to the list of his talents. A very slow start, to this novel, whilst it’s important to meet the characters and find out about them, it felt that a lot of pages were dedicated to minute details that didn’t seem overly relevant to the story, other than making me wonder constantly which one of them was going to end up the victim. The story line of the novel is interesting, but the actual writing for me let it down. The dialogue between characters was irritating in places, maybe the author used techniques to illustrate the characters talking in a local dialect, but for me this was something that became almost unbearable and I will admit I did skip a lot of the dialogue once I’d gleaned the relevant details. The flawed characters are well written, their behaviours and mental attitudes are well described and you feel almost annoyed at some of them at times for being so naive or so downright crazy. There were places in this book that I felt that the mini dramas were there solely to “pad out” this already incredibly lengthy novel, the Rory/Fiona story, the Charlie/India/Nat story were just some examples of this. It also felt that a lot of relevance was given to the character Lily, but she failed to appear in the novel very often except from at the start, she seemed like quite an interesting and likeable character so I was a little disappointed that she seemed to drift away and was all but forgotten about by the author. 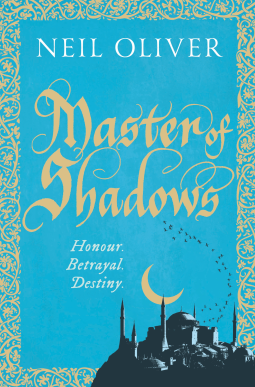 I really wanted to like this novel, the blurb make it sound so intriguing and until about half way through I was hooked, but in the second half of the book my interest was waning and in the end I was just relieved to have finished this book and move on to something else. Overall, it was a good idea for a book, the plot started well, but it dragged on too often for me and felt like this book could have made a better impression if it were cut in half, irrelevant padding removed and dialogue tidied up. Set in Amsterdam, the novel introduces Lotte Meerman, a Cold Case detective still recovering from the emotional devastation of her previous investigation. A tip-off leads Lotte to an unresolved ten-year-old murder case in which her father was the lead detective. When she discovers irregularities surrounding the original investigation that make him a suspect, she decides to cover for him. She doesn’t tell her boss about the family connection and jeopardises her career by hiding evidence. Now she has to find the real murderer before her acts are discovered, otherwise her father will go to jail and she will lose her job, the one thing in life she still takes pride in . . .
It’s an icy New Year in Amsterdam and Lotte Meerman is struggling with her personal demons as well as professional ones after a tough previous case. When she stumbles upon a new case things are about to get tougher, darker and a whole lot murkier for our protagonist. The irregularities in a cold case have the new investigating team scratching their heads, for Lotte there is too much at stake, the lead detective was her father, but the investigating officer in Amsterdam was her boss….so where does the blame lie for things not being done right 10 years ago? 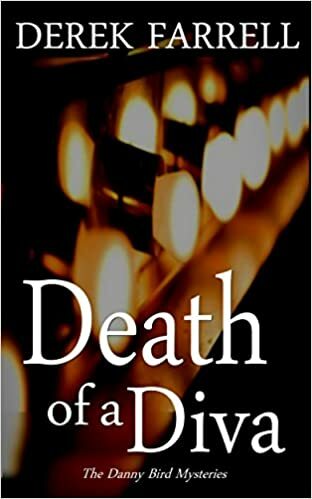 With her colleagues in CID and Financial Fraud, Lotte delves into the case to try and untangle what happened to the murder victim, who killed him, why the evidence doesn’t tie up and just how her father is connected to all of this, all whilst keeping everyone in the dark who her father is. Lotte is a multi layered character, on the one hand she is an able detective that can seek out truth and information just by sitting back and thinking things over, but in her personal life, she is a mess. She doesn’t understand why things went wrong for her parents, why their marriage split up and her mother was so resentful, why her own marriage had to end so terribly, or worst of all how she could make such a foolish mistake of being taken in by such an appalling, despicable murderer. The physical descriptions in this book are good, the detail about the snow and ice were good, you could almost see the frost patterns sprouting across the car windscreen, or the picturesque snowy landscapes, but this attention to detail was a little too much when it came to the financial elements of the crime. I found it hard to stay focused and interested when so much detail was being given on something so vastly over my head, I appreciate it’s core to the case and it the explanation is there to help the reader understand the why and the what for, but for someone with no experience with stocks, shares and the Market it was a little off putting and I will admit I did skip bits and pieces as I had no idea what was being talked about. That being said, this is a good thriller, there are the usual key elements for a good thriller here, it’s a well paced novel, the characters are interesting enough (on the whole) to keep you reading, and the development of Lotte is done very well so that you want to keep reading to find out more about her, and to find out about her previous case that has left her floundering. I would recommend this book to anyone that enjoys Fiction, Crime Fiction, and Thriller genres. But be warned, the case central to the investigation is heavy on financial crime so it can be a little heavy going.